No chance of anyone being bored on a cruise vacation! Cruises allow families the opportunity to do everything together or permits everyone to do their own thing and just meet up for dinner! You can’t find a more flexible vacation than that! With so many dining options available, a cruise can accommodate the pickiest eaters as well as the most sophisticated palate. Whether you want chicken nuggets with mac and cheese or smoked salmon & peekytoe crab parfait, there’s probably a restaurant onboard that can accommodate! Explore ports of call your way with only your family by reserving private shore excursion. Both the cruise line and outside vendors can make these arrangements. 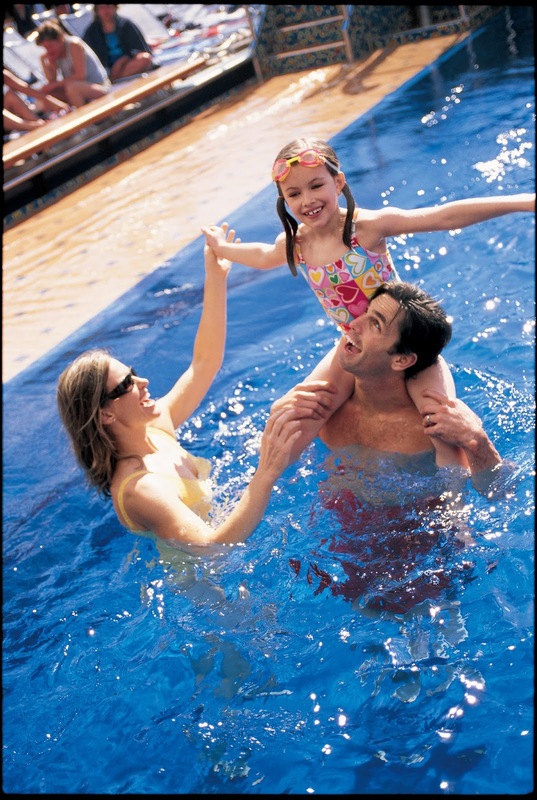 This way you can choose activities that are perfect for your family. Cruising is economical so chances are good that the whole family can afford it! Since transportation, lodging, food and entertainment is all included its always more economical than a resort vacation. 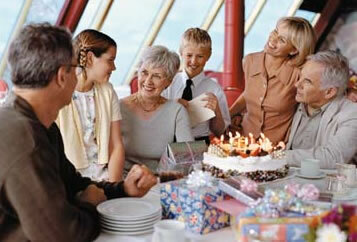 Cruising allows families to share and bond while they immerse themselves in new activities, new foods, and new places. Whether your family is gathering for the holidays or you’re already planning next summer’s vacation, multi generational cruising is the perfect solution!